Glenn Barlett is the founder of Glenn Barlett Consulting Services, LLC located in Englishtown, New Jersey. He is a nationally recognized expert in the use of statistical analysis of personnel data to identify potential employment discrimination and the preparation of Affirmative Action Plans. He has intimate knowledge of the Office of Federal Contract Compliance Programs (OFCCP) US Department of Labor, where he was employed as an Equal Opportunity Specialist, Quality Auditor, and Regional Director of Planning and Support. Glenn presented workshops as an Adjunct Instructor at the Cornell University School of Industrial and Labor Relations and the Rutgers University Institute of Management and Labor Relations. 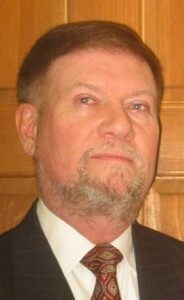 His training includes workshops and webinars on the use of statistical analysis to identify potential areas of employment discrimination, the OFCCP’s Internet Applicant Regulations, the preparation of Affirmative Action Plans, the Census 2000 Special Equal Employment Opportunity (EEO) File, the EEO Tabulation 2006-2012, and the Glass Ceiling. In 1971, he began working for the New Jersey Division on Civil Rights, where he investigated individual complaints of discrimination in the areas of employment, housing, and public accommodations. While at the state agency he became a first line supervisor and then the Manager of the Newark Branch Office. Glenn joined the Federal Government’s Contract Compliance program in 1977 as an Equal Opportunity Specialist with the Department of Defense. Two years later he was transferred to the OFCCP as part of the Government’s consolidation of the Contract Compliance agencies. In addition to directing high profile compliance reviews which received national attention, Glenn conducted numerous routine compliance reviews, developed and presented internal agency training, and served as a quality auditor. He was responsible for developing some of the first computerized approaches for analyzing Affirmative Action support data. Glenn left the government in 1984 and became a management consultant with a firm in northern New Jersey. He specialized in the design and development of payroll/accounting interface systems. He stayed involved with EEO and Affirmative Action mostly through teaching at Cornell and Rutgers. Glenn developed spreadsheets for analyzing hire, promotion, and termination data for indicators of potential discrimination and provided consulting services for federal contractors in this area. In 1991, Glenn left the consulting firm to devote all of his time to Glenn Barlett Consulting Services, LLC.